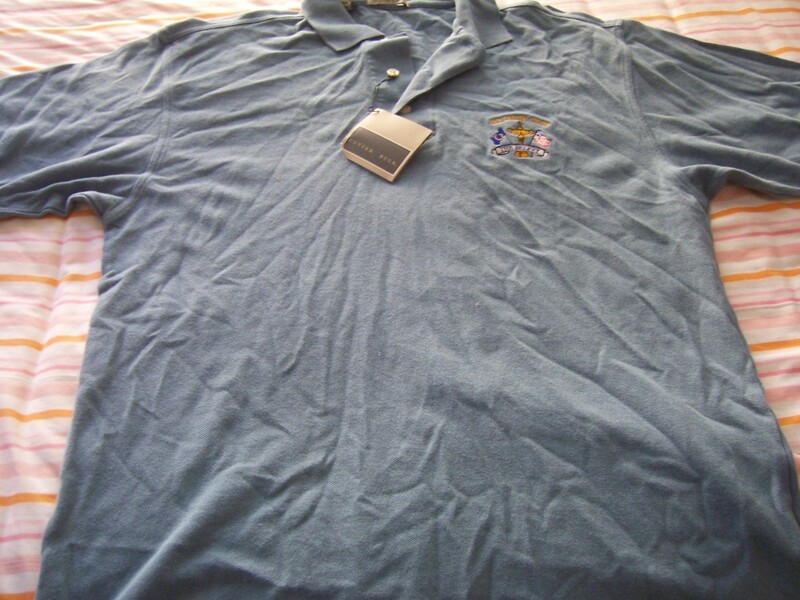 2002 Ryder Cup (played at The Belfry, won by Europe) steel blue knit golf shirt with embroidered logo, made by Cutter & Buck. Adult size MEDIUM. Brand new, never worn. ONLY ONE AVAILABLE FOR SALE.